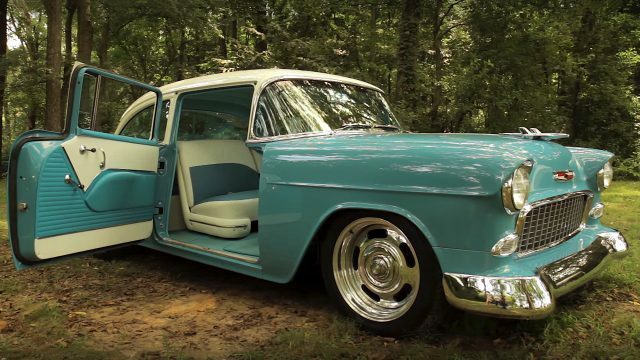 On the first sight this classic 1955 Chevrolet Bel Air is the same as all other Chevy’s, but when you look it closely you will realize that it’s very different. 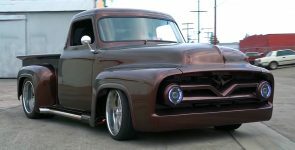 It is different because of the engine, and you’d never thought could anyone install in these classic American cars. Beside the engine, there are interior and body changes which make this Bel Air even more unique, and all that thanks to Dale, which is more than master fabricator. 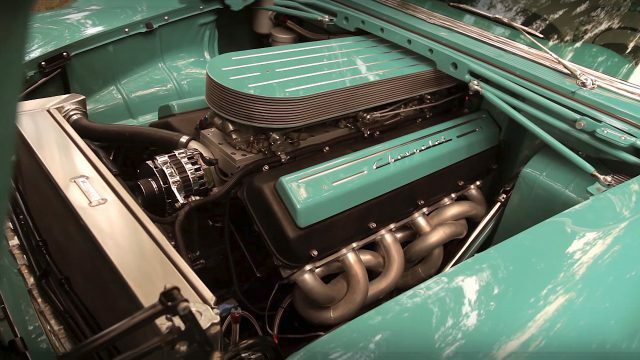 The engineering under this classic 1955 Chevrolet Bel Air is a piece of art. The Powertrain is all-aluminum 730 cubic-inch, 12 liter V12 engine, built in Italy for Marine industry. Originally this engine came with six Weber carburetors, but they were changed with three 600 CFM Holley carbs. Which now this V12 engine generates massive 620 horsepower and 720 lb.-ft. of torque. All that power is distributed via General Motors 4L80E automatic transmission at Ford 9-inch rear axle. Also, it has heavy modified front suspension because of the weight of the engine. 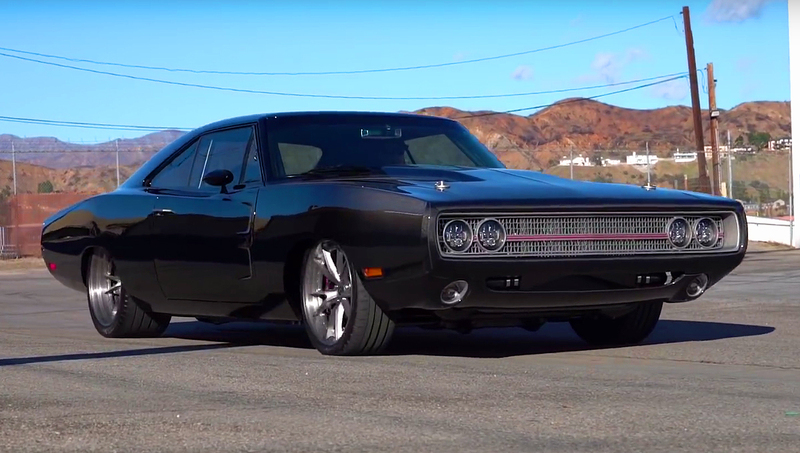 The braking system is using four Wilwood 13-inch vented rotors with six-piston calipers at the front and four piston at the back, connected with 18-inch aluminum Rally wheels wrapped with Yokohama tires.